ANNAPOLIS, Md. 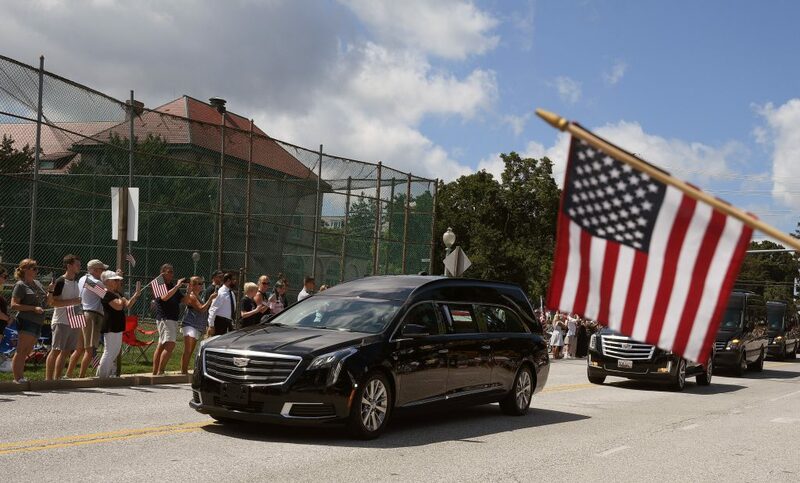 (Reuters) – The body of John McCain arrived on Sunday at the U.S. 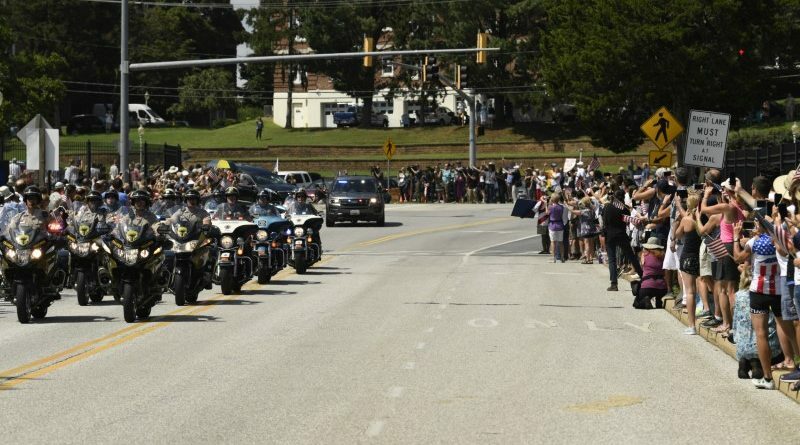 Naval Academy, where the Vietnam War hero, Arizona senator and presidential candidate will be buried in a cemetery on the grounds of the school where he graduated six decades ago. 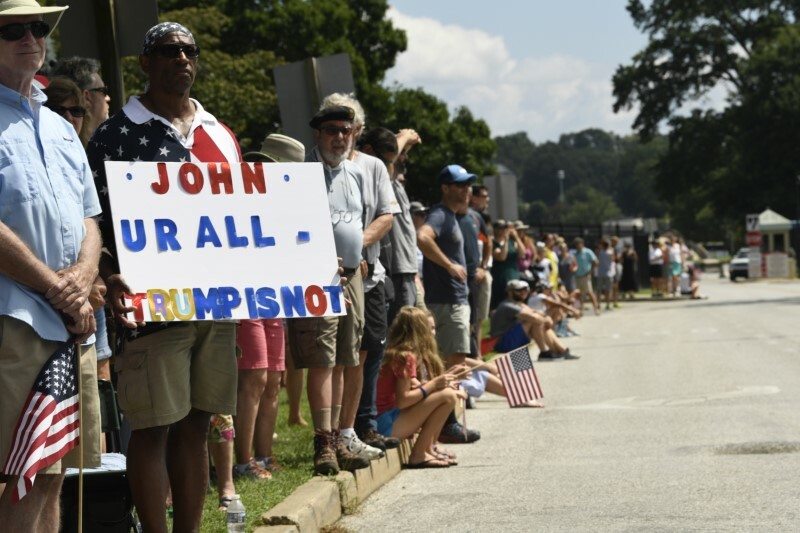 Crowds gathered along the route to Annapolis travelled by the motorcade bearing McCain’s body. At one point along the route, a large American flag hung suspended between two cranes on a bridge. 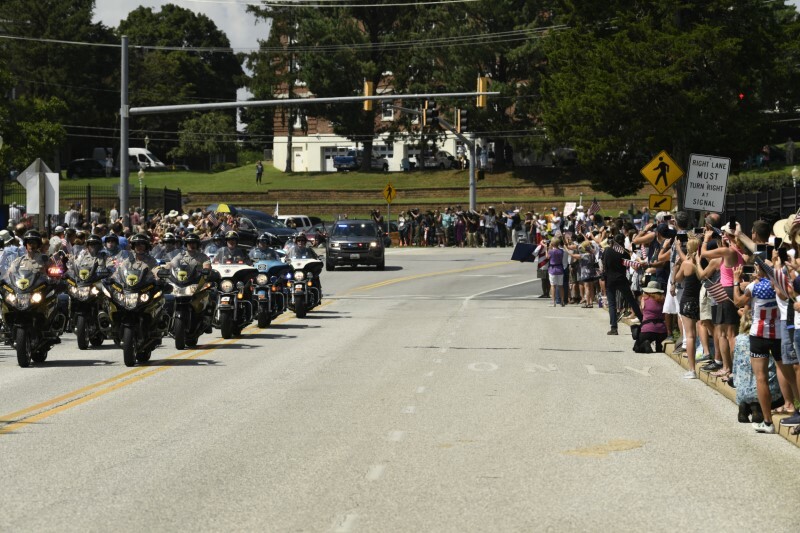 Family and friends, along with the academy’s class of 1958 and the current Brigade of Midshipmen, plan to commemorate McCain, who died Aug. 25 at age 81, at the Naval Academy chapel. 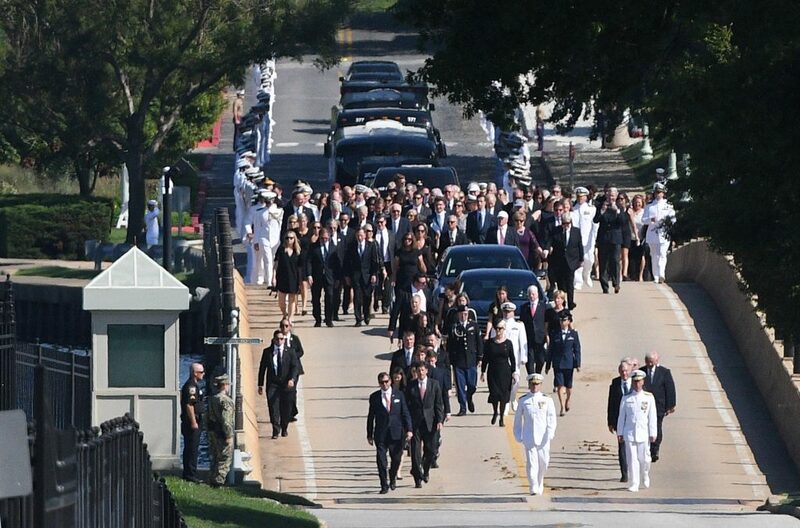 McCain will be buried next to his classmate and friend, Admiral Chuck Larson, a former commander of U.S. Pacific Command who died in 2014, according to the McCain family. 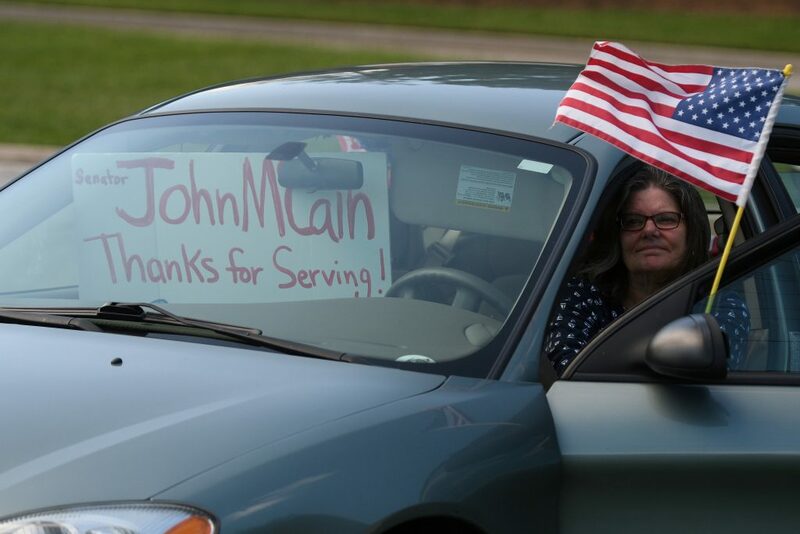 Among those paying tribute to McCain at Sunday’s private service will be his sons Jack and Don, retired Army General David Petraeus and Senator Lindsey Graham, a long-time political ally and friend. 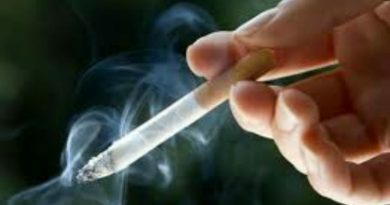 President Donald Trump will not attend. 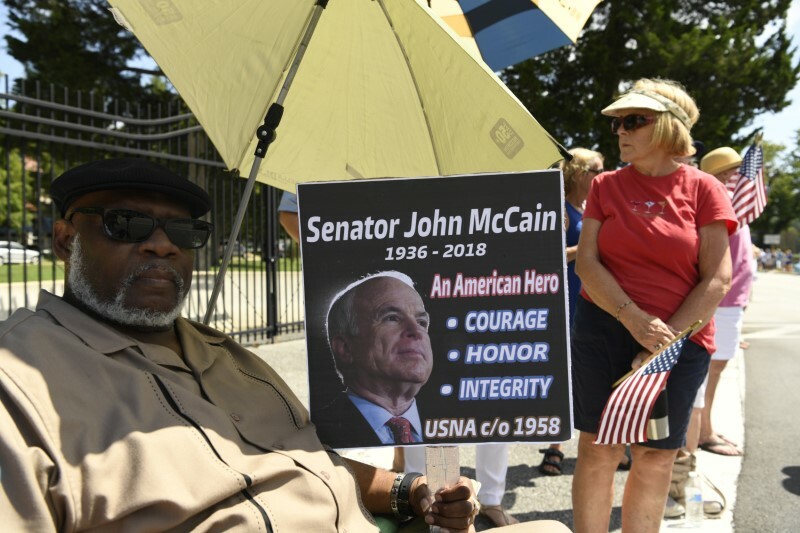 McCain, an often imposing presence for decades in U.S. defence and foreign policy, was eulogized by former U.S. presidents Barack Obama and George W. Bush, as well as his daughter, Meghan McCain on Saturday at a Washington ceremony. 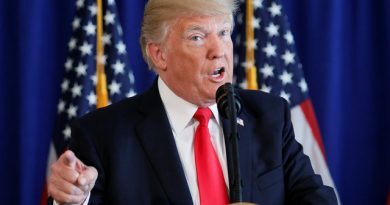 Without naming Trump, McCain’s daughter, Bush and Obama all rebuked the current president, who feuded with the late senator and mocked his military service. 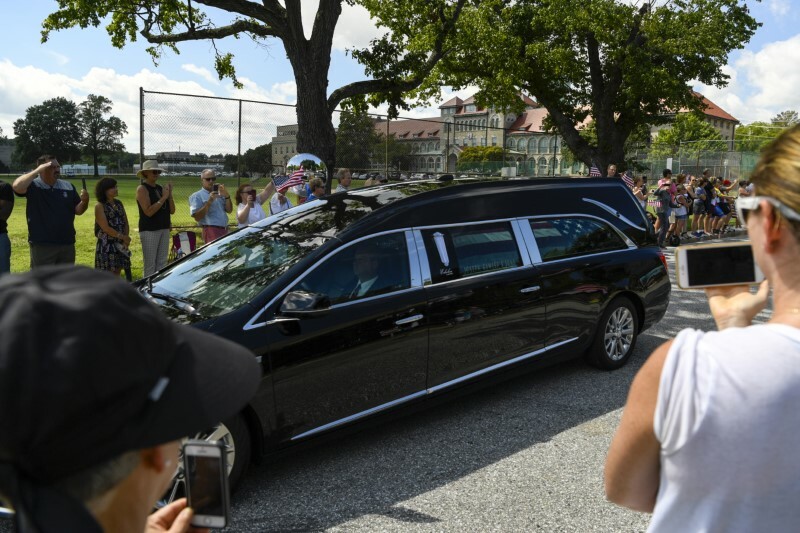 During both the Washington ceremony and the Annapolis burial, Trump was at his private golf course in Virginia.